Look at these cuties! 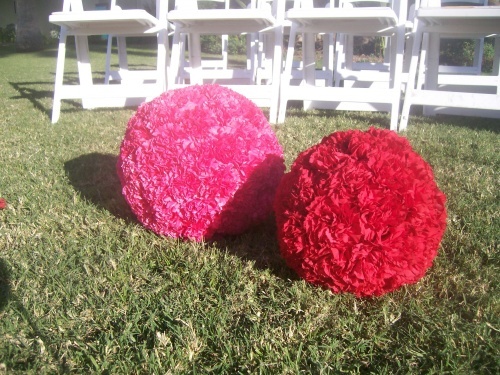 This was a super fun retro wedding I did at the Valley Ho here in Phoenix. I have been so busy with wedding season lately that I haven’t had much time to do anything but work. 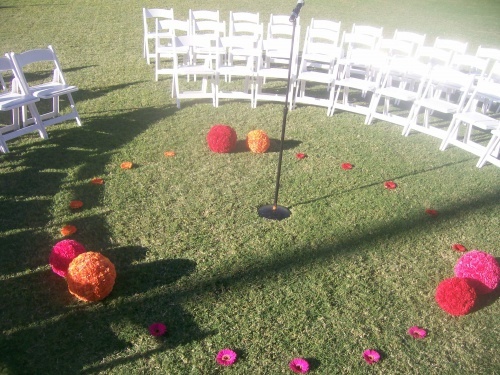 I thought I would post some great pictures of weddings White Poppy has been up to this season. I’ll be doing a Real Weddings post on them when things slow down and I get pictures from each photographer (they do a much better job than I do). More from the Valley Ho, she loved spheres- can you tell? 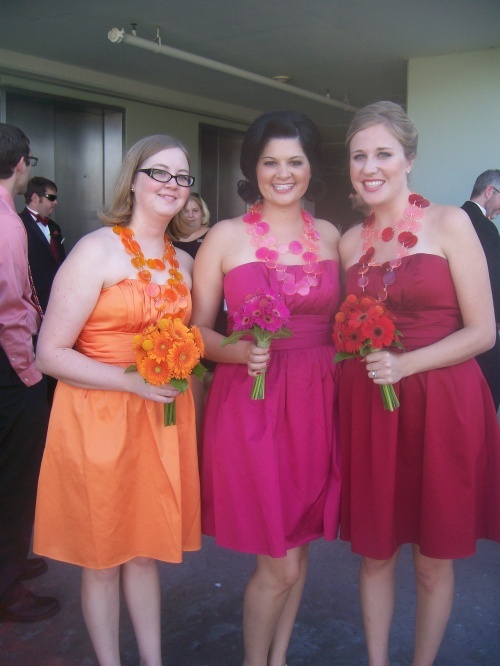 This gorgeous bride got married at the Arizona Historical Society. 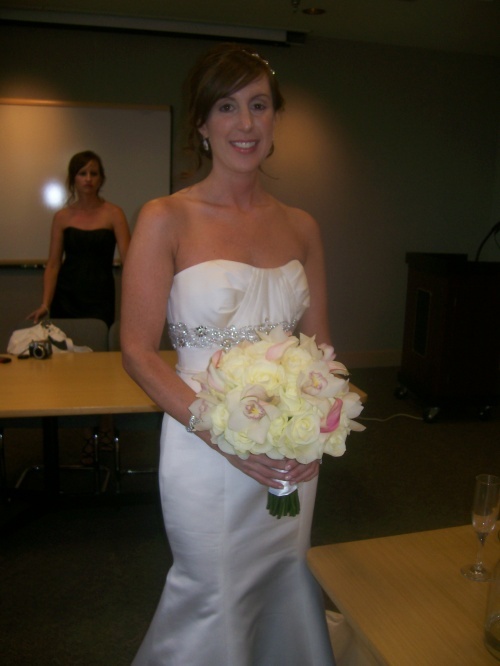 Her bouquet was made of roses, cymbidium orchids and miniature calla lilies. Off to go get ready for a “green” baby shower this weekend with lots of herbs and unusual flowers. So wonderful to see you back in the “blogosphere” Jeanne! Love, LOVE, LOVE the colors in that wedding. Such an inspiration for everyone to look beyond the traditional colors and feel what your heart is crying out for! So happy you’re back and blogging again! 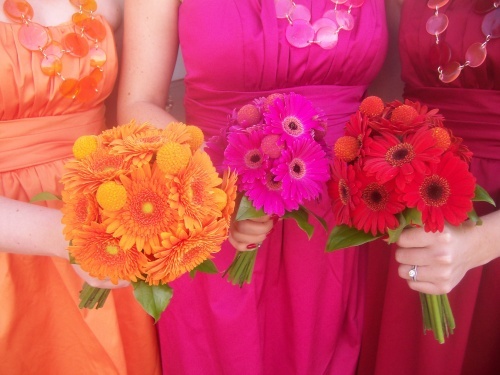 Love the gorgeous and bold bridesmaid bouquet. Have a great day.